be where you would choose to set it up. You´re not sure. Are you ? Well these nets belong to B and his brother, third generation out of a family of fishermen, and they’ve never really done anything else, but fishing, and now the couple of them pose a lifelong experience in getting along with nature. 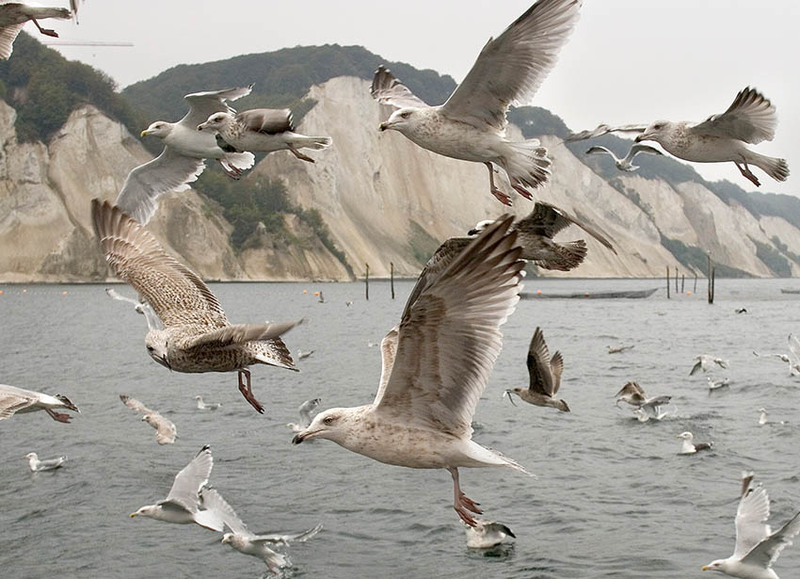 They have been sailing these waters for years and years having their nets set right under the white cliffs of Møns Klint, Denmark’s south eastern tourist attraction. A very special place to be indeed. And a most spectacular view. As we passed right under it that rainy Thursday morning in September, listening to B stories along the way. Fishing is best under a new moon. From eight days before till eight days after. And he would know it. Having had his fishing tackle in these waters for the better part of the last century. 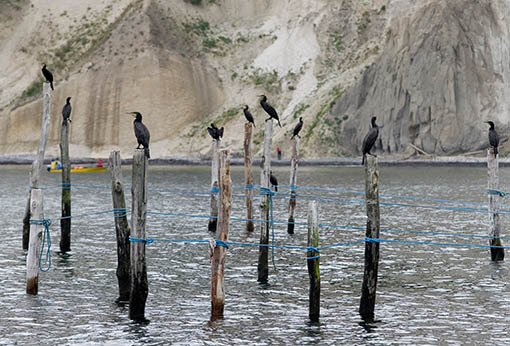 And time has learnt him and his colleagues to get along with the Cormorants too. 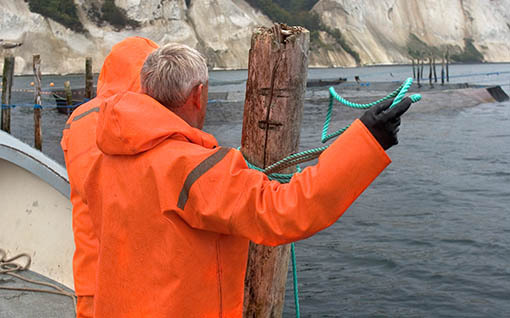 During the Herring season at springtime all nets are covered with net as a shield against the hungry birds. 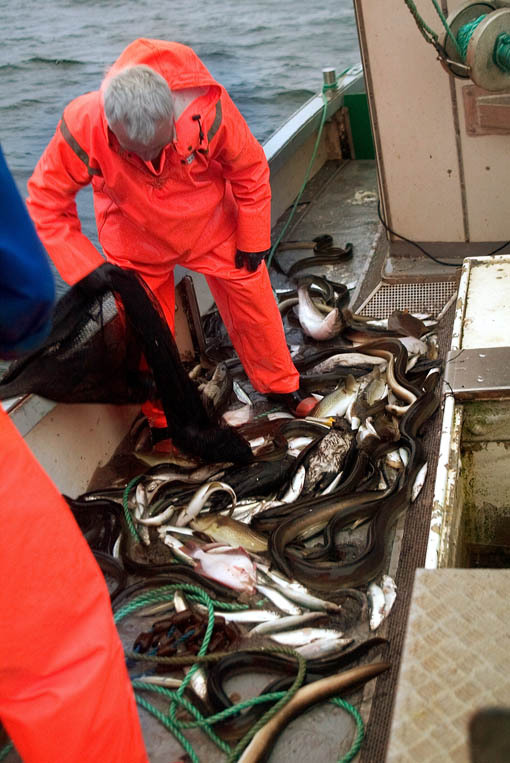 During October where these pictures are shot their three vessels are fishing eel and Cormorants cause only little or no problems. The brothers and their boats each with tree men onboard are from Klintholm a small harbour at the southern coast of the island of Møn, and they’ve got more than 30 nets set up along the coastline, including the ones you se on al these picture. Including their crew nine families depend on the outcome. I never really asked B about his approach to the species Phalacrocorax carbo although thats the reason I decided to do this photos series. 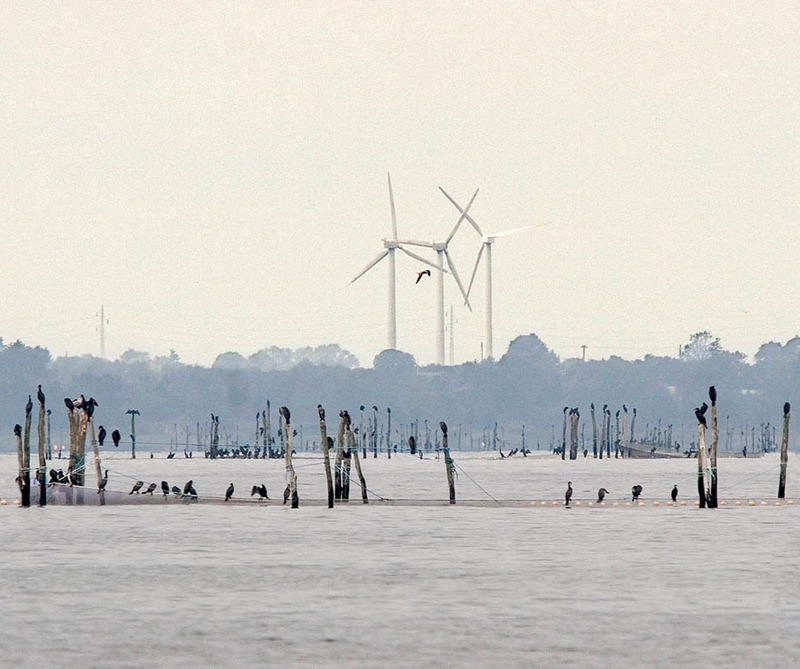 The subject is controversial along the coastline, and most fishermen have developed a severe mistrust of leftwing nature freaks from the big city.